Did anyone else go to the Taylor Swift & Keith Urban concert a couple weeks ago? Who knew there were so many other country fans in Boston? In all my years in MA, I'd never seen that many cowboy hats in one place. 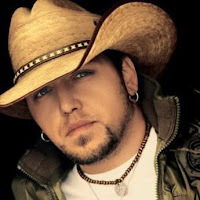 That being said, Jason Aldean is performing this week, and tickets are still available. My old roommate Eugene loves Brockton. In fact, we drove all the way there one evening just to get some Taco Bell because he knew that one was open late. 0 Response to "Jason Aldean Concert - 8/12"